Billy the Bear released an official statement Monday Apr. 1 that he will be running for University President this coming September. He believes he can bring unprecedented change to William Paterson because of his continued dedication to the school over the years. “I’m coming for you Helldobler,” Billy tweeted soon after the announcement was made. 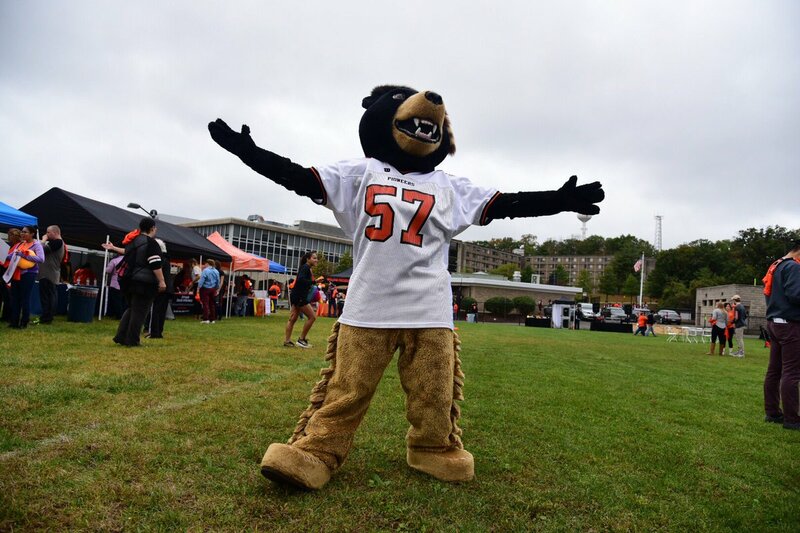 “I’m the real face of William Paterson anyway.” Some considered this a threatening statement, especially coming from a large bear, but Billy claims it was nothing more than political banter. Billy the Bear is running on a three-point plan to improve campus life. First, Billy wants to introduce more salmon and honey-based dishes to the food court on campus. “I promise you, you’re going to love it even more than the grape tortillas,” Billy boldly claimed. He also believes that Richard Helldobler is not catering to the needs of other critters that share the campus with the students. Reports have shown that Helldobler did not even address the serious issue of the broken-winged goose, Gary G. Gaggle, an important member of WPU’s community. Billy’s final focus will be to actually fix the dorms on campus, which is something no one has been able to accomplish so far. Rumors have circulated that Billy will be choosing Willie-Not-the-Pooh for the Vice Presidential spot, but that is only speculation. In his official statement, he also mentioned that he will better equip William Paterson for giant monster attacks, as a response to the recent Godzilla rampage. “You know I’m way cooler than Helldobler. I would have cancelled classes,” Billy stated. Billy said his slogan will most likely be, “I know I’m a bear, but I swear I care,” but he is also open to other bear-related puns and suggestions.